Beth Aires is an experienced personal injury lawyer with Horst Law Firm in Central Florida handling a wide variety of civil claims and lawsuits involving car accidents, slip and falls, dog bites, negligent security, wrongful death and medical malpractice. In October of 2017, as first chair trial attorney, Beth won a Five Million Dollar jury verdict for her client who was wrongfully injured in a trucking accident. Today, Beth vigorously and successfully works to hold individuals and corporations accountable for their negligent conduct and consistently earns impressive results for her clients. Beth joined the Horst Law Firm as a partner after practicing several years as an associate attorney in the personal injury division of NeJame Law, P.A. Prior to passing the Florida Bar, Beth worked there as an intern and was only the third legal intern out of well over a hundred, ever asked to join the firm as an attorney. Earning her J.D. from Florida A&M University College of Law, Beth attended as an evening student while working full time. During law school, she was elected Vice Justice of Phi Alpha Delta- International Law Fraternity, earned the class book award in Advanced Florida Evidence and received the Law Student Award of Excellence from the Orange County Bar Association as recognition for dedicating the most pro bono work to indigent clients in Orange County. 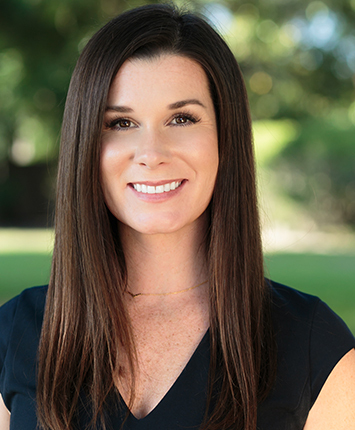 Born and raised in Jacksonville, Florida, Beth moved to Orlando to attend the University of Central Florida where she graduated a Lead Scholar with a bachelor’s degree in Organizational Psychology. During undergrad, she worked as a legal intern, Vice President of her sorority-Alpha Delta Pi and UCF Career Advisor. Licensed to practice in both Florida and Washington State, Beth is also admitted to practice in the U.S. District Court for the Middle District of Florida. She remains actively involved with the local Legal Aid Society, the Orange County Bar Association, the Florida Justice Association and the FJA Women’s Caucus. Outside of work, Beth enjoys attending Orlando City soccer games, UCF football games, spending time with family and her dog, Penny.